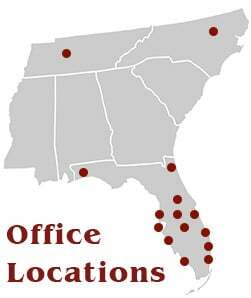 Superior Fence » Fence Service Locations » Central Florida » Volusia County » Superior Fence & Rail of Volusia County, Inc.
Superior Fence & Rail operates extensively in the City of Daytona Beach, Florida. To the right are just a few of the the many fencing installations we have completed in this fine city. Below, are links to helpful information about installing fence and rail in the City of Daytona Beach. Whether you need a Pool Fence, Dog Fence, Privacy Fence, Ornamental Railing or a unique enclosure customized to your specifications – Superior Fence & Rail has a solution for you. For more information, contact us directly and schedule your free estimate today!